A clear example of how hard work and dedication can pay off is New York trainer Linda Rice. After grinding it out every day at the barns for 22 years, Rice captured her first training title this summer at Saratoga. She is the first woman trainer to win the title at this historic track. Rice had 20 wins during the 38-day meet, edging out Todd Pletcher by one win. Rice's career has been on a marked upswing for the past five years. 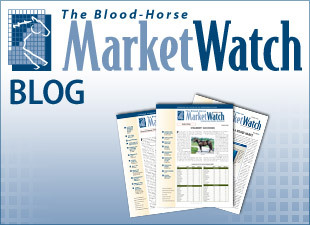 The Blood-Horse MarketWatch publishes trainers statistics in its March edition and shows how the top 250 trainers by earnings fared during the previous year with horses of specific ages and in specific types of races. In 2004, Rice was ranked 128th with $1,389,239 in total earnings from 288 starts. She had 13% wins (38) from starts (288) and 7% stakes wins (4) from stakes starts (21). For 2008, Rice's rank jumped to 51st with $2,614,408 in total earnings. Her percentage of wins (79) from starts (405) was 20%, and her percentage of stakes wins (6) from stakes starts (54) was 11%. Rice has built a reputation for being particularly good with young horses. Her percentage of 2-year-olds wins from 2-year-old starts in 2008 was a healthy 25%, making her the 35th leading trainer in North America by this statistic.